The number one concern of our members is estate agent fees. Sellers are worried they are paying too much, wondering if they should haggle, or whether they are required to pay twice if they use two agents. Unbelievable as it sounds, some have even been saying their fees are based on the asking price not the selling price. Many come to us in major disputes with estate agents about the fees, often ending in court. There is no mystery why estate agent fees are such a cause for concern among homeowners: it is because the fees are themselves, well, steeped in mystery. Although estate agents openly trumpet the prices of their clients’ houses, blaring them out from their high street windows, they come over all coy when it comes to advertising how much they themselves charge. You virtually never see their fees mentioned in their windows, or even in the nooks and crannies of their website. Estate agents are legally required to tell you what their fees are, but you usually only find out at the end of protracted discussions about selling your house. Although estate agents are often prepared to cut their prices if sellers ask for it, in practice that usually doesn’t happen: the Office of Fair Trading found that 64% of British sellers don’t negotiate for a lower fee (compared to 22% in the US). Estate agents in effect take advantage of our national unwillingness to haggle. The end result of this is that estate agents compete on price far less than they otherwise would, meaning that their fees remain higher than they might otherwise be. 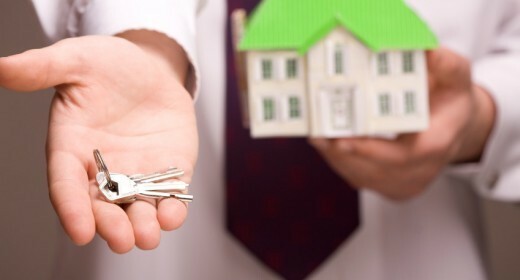 We certainly know that many homesellers think that estate agent fees can be a lot of money for not much work. The internet has made selling homes so much easier, but that hasn’t been reflected in a fall in fees (a sign of an uncompetitive market). The sharp rise in house prices means absolute fees (which have stayed steady in percentage terms) have risen dramatically, even though the amount of work hasn’t. The fee structure also generally means that estate agents have a bigger incentive just to get the deal done rather than get the highest price. We think it is time to bring estate agents fees out of the shadows. We are asking homesellers to tell us what they actually paid when selling their home. That (anonymous) information will then help other homesellers work out what they should pay. If you have sold recently, please help us and other homeowners by spending a few moments to fill in our survey, and forward it on to a friend.